Broken Arrow Soccer Club is celebrating our 45th year! 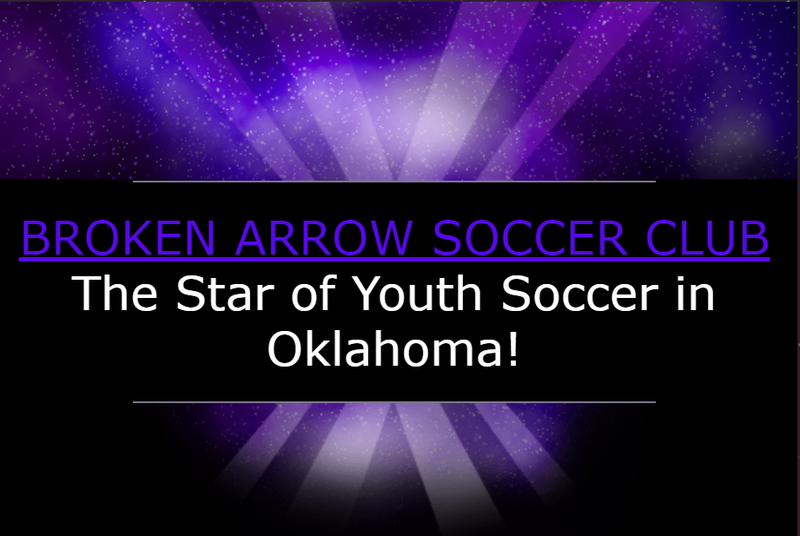 Broken Arrow Soccer Club is affiliated and members of Oklahoma Soccer Association & United States Youth Soccer Assocation. USYS - "The Game for ALL Kids!®" is the largest youth sports organization in the country and largest member of the United States Soccer Federation, the governing body of soccer in the United States. US Youth Soccer registers more than 3 million players annually, ages 5 to 19, and over 900,000 administrators, coaches and volunteers in 55 member State Associations. US Youth Soccer programs provide a fun, safe and healthy environment for players at every level of the game. We are the largest club in Oklahoma according to Oklahoma Soccer Association stats! We offer program for kids from 3 years old through 18 years old. All Northeast Oklahoma area players are invited to register with BASC! BASC was established in 1974 by volunteers! Click Here to volunteer for BASC!